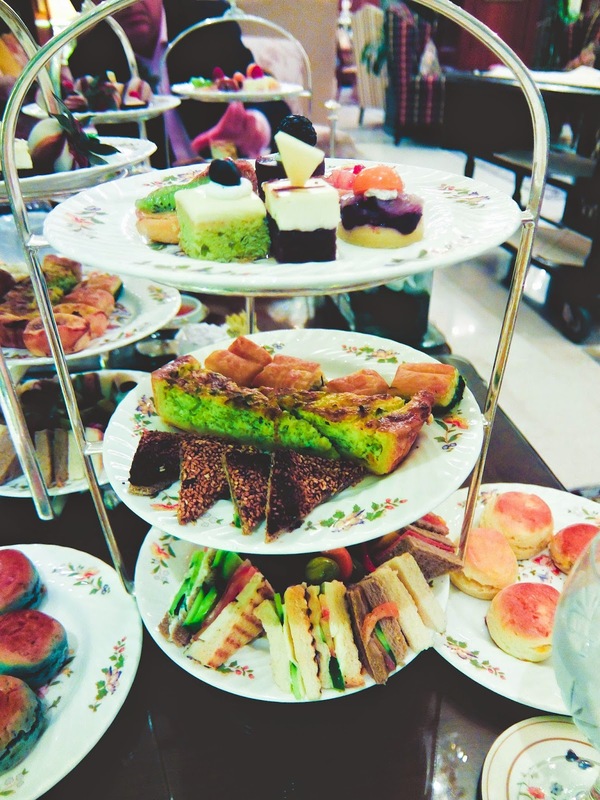 You guys know I love going out for afternoon tea (remember the Old Course, St Andrews post? 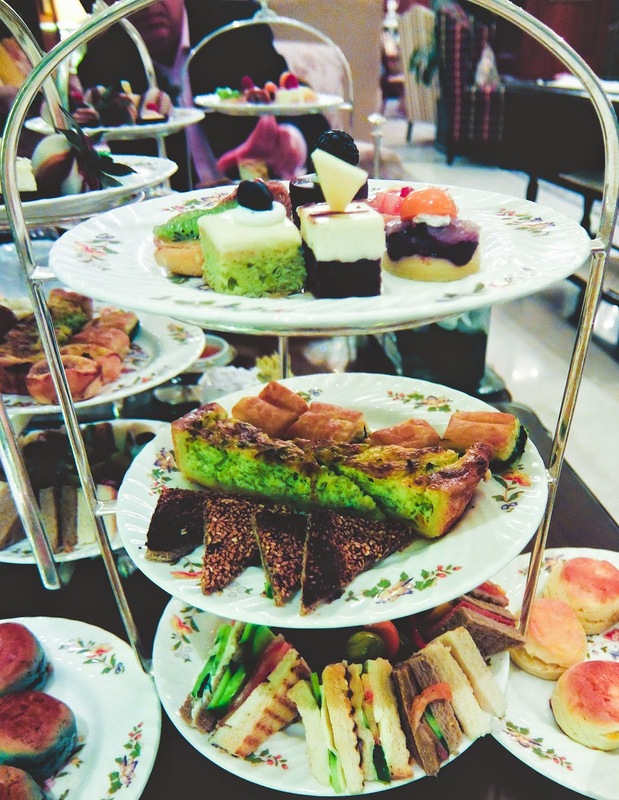 ), so in Kuwait we had a very special afternoon tea experience at the English Tea Lounge at the Sheraton Kuwait. The Sheraton Kuwait is one of the fancy hotels in Kuwait- and a highlight of the Sheraton is the English Tea Lounge. 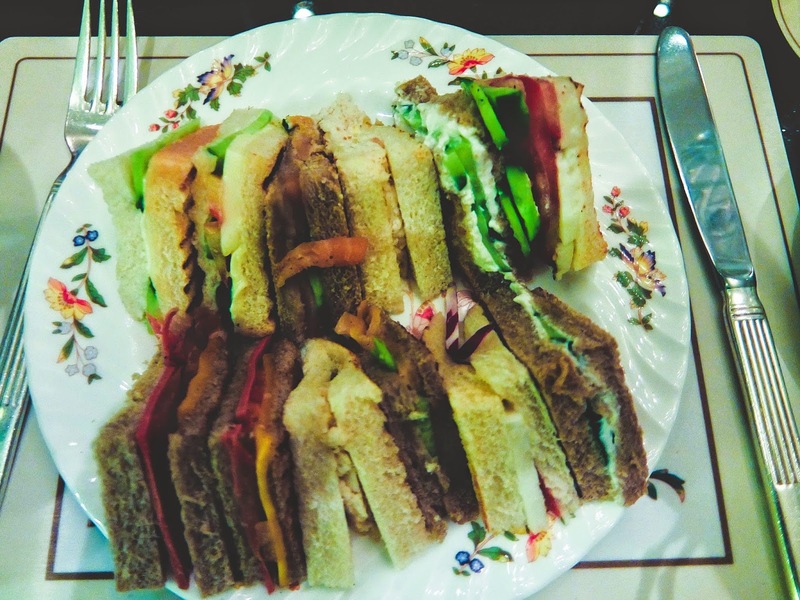 The English Tea Lounge is typically old school English, very refined and set out beautifully with great service. 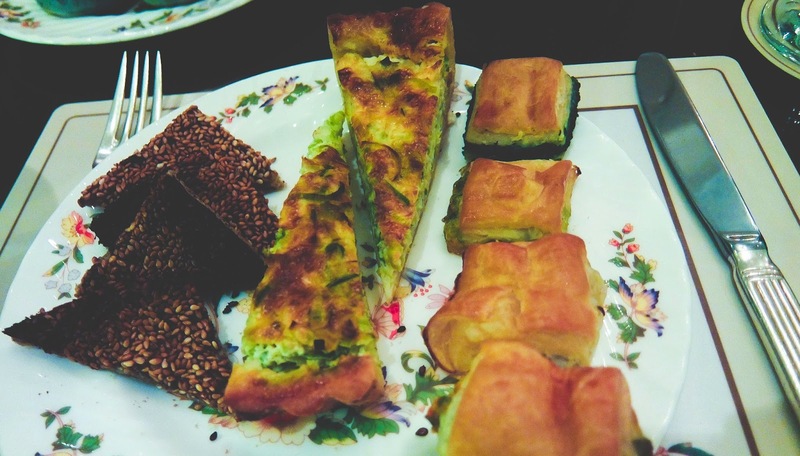 Usually, most menus have only one afternoon tea option- but not the Sheraton! 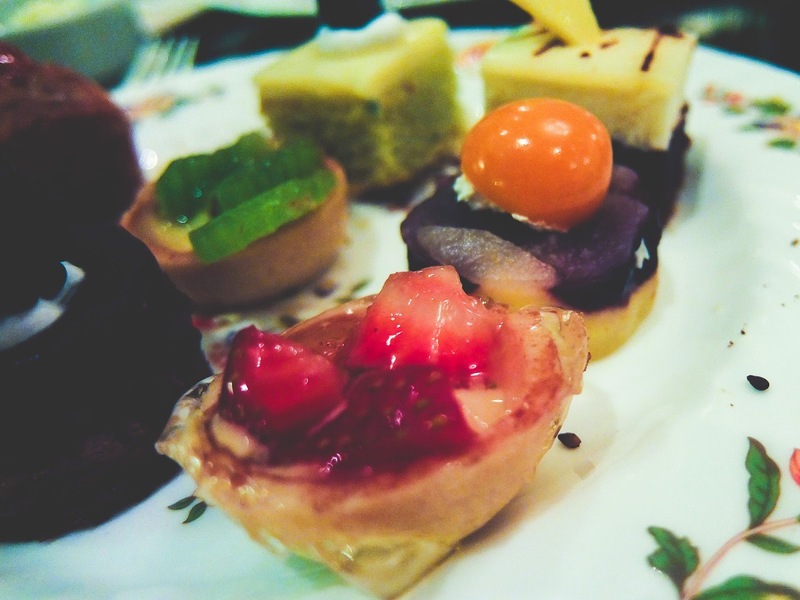 There are loads of different themed afternoon teas to choose from. I was split between the Royal Windsor and the Welsh Tea Party options, but I went for the Welsh Tea Party at the end up. Then from the tea menu (there was a whole menu to pick from) I picked the Red Fruit Compote- which is "a blend of hibiscus blossoms, elderberries, grapes, blueberries and blackcurrants". I'm not a big traditional tea fan but I love fruit teas! 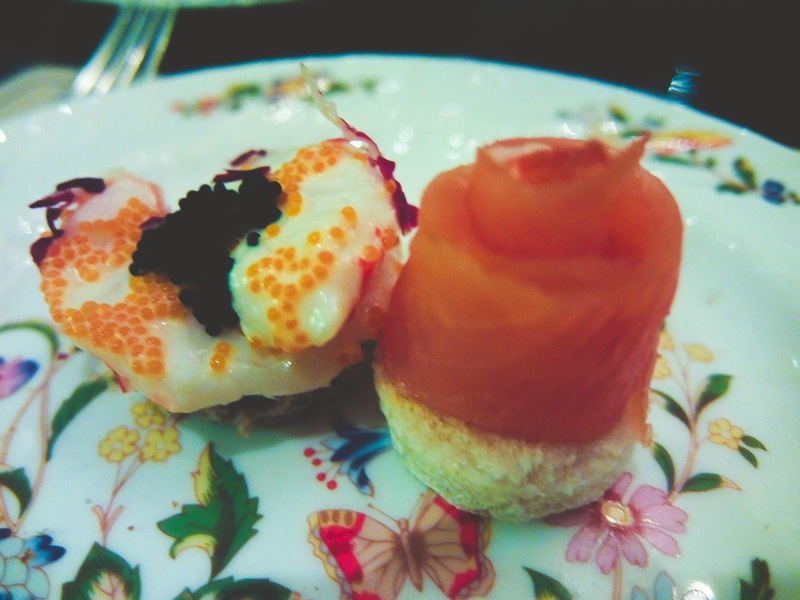 The afternoon tea was lovely, it was really nice to have a little something different for an afternoon tea! 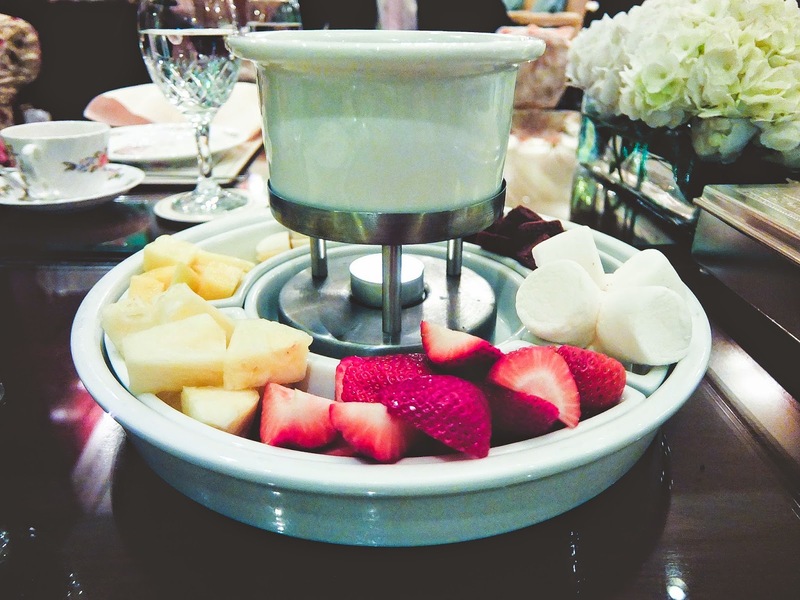 We finished off the tea with a chocolate fondue- which was a lovely gift from the staff. Unfortunately I was really full by the time it came along so I couldn't enjoy it to its full extent! 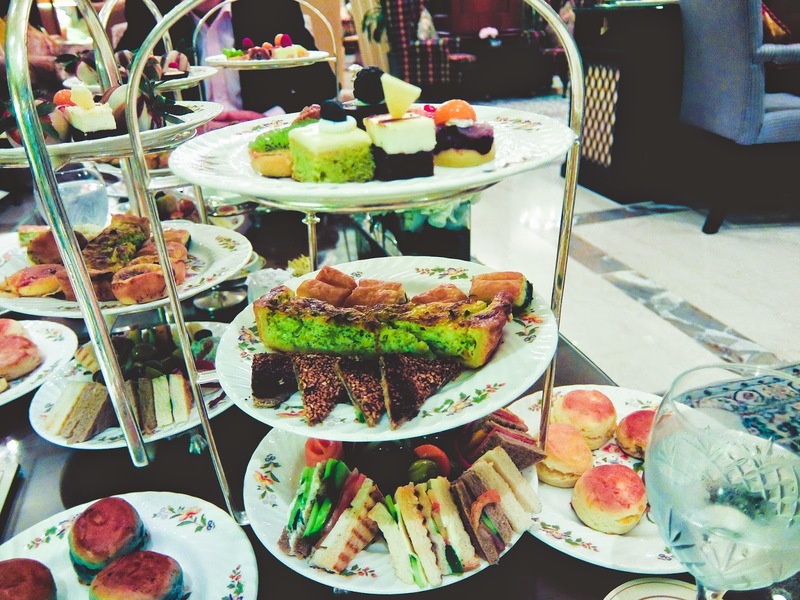 I would definitely recommend the Sheraton Kuwait for a special afternoon tea experience! The food was great and the staff were really nice and friendly. Because the portions are nice and big, it will be enough to fill you up over dinner like we did! 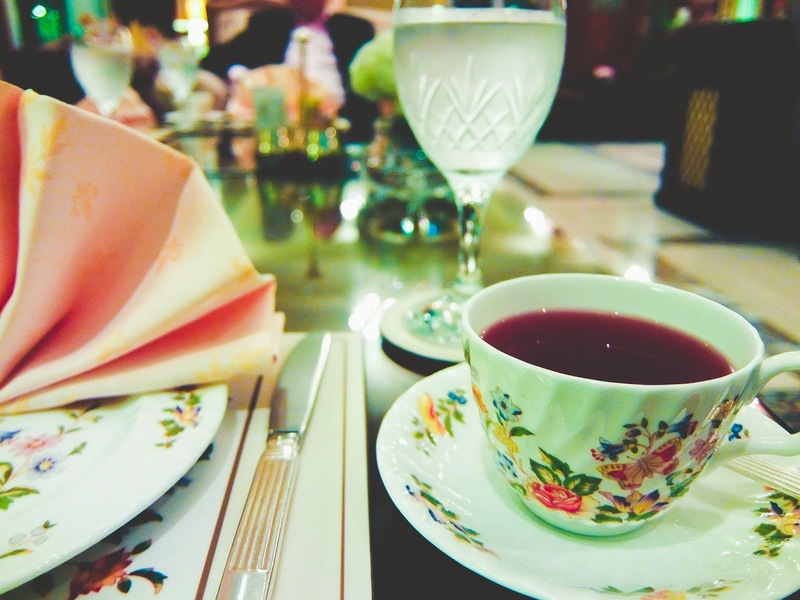 Have you been to Sheraton Kuwait's English Tea Lounge before? What did you think?